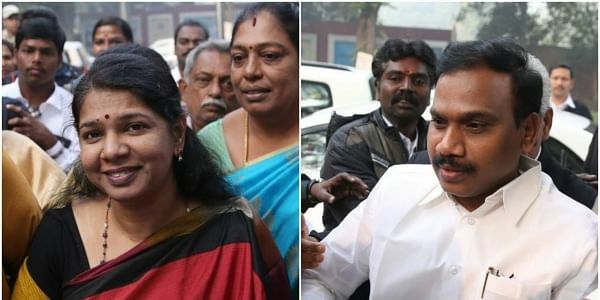 The CBI today received a backhanded compliment from a special court here for filing a "well choreographed charge sheet" containing incorrect facts about the2G spectrum case. NEW DELHI: The CBI today received a backhanded compliment from a special court here for filing a "well choreographed charge sheet" containing incorrect facts which miserably failed to prove charges against the accused in 2G spectrum case. Special judge O P Saini, who acquitted the accused facing trial in three separate cases lodged by the CBI and Enforcement Directorate, said that in the CBI's charge sheet filed against former telecom minister A Raja and others, incorrcent facts were recorded and they were entitled to be set free. "The end result of the above discussion is that, I have absolutely no hesitation in holding that the prosecution (CBI) has miserably failed to prove any charge against any of the accused, made in its well choreographed charge sheet," the court said. "I may add that many facts recorded in the charge sheet are factually incorrect, like Finance Secretary strongly recommending revision of entry fee, deletion of a clause of draft LOI (letter of intent) by A Raja, recommendations of TRAI (Telecom Regulatory Authority of India) for revision of entry fee etc," Saini said. The court also recorded its "deep appreciation" for the lawyers for their assistance in the complex case. "I also record my deep appreciation for advocates for both parties for the hard work put in by them during the trial of this voluminous, technical and complex case, the record of which runs into about three­four lac pages," the judge said. The court directed the accused, who were out on bail, to furnish bail bonds in the sum of Rs five lakh with one surety in the like amount each for appearance before the appellate court, as and when required.